James’s practice focuses on class proceedings. James is class counsel in various different areas of law, including product liability, Crown liability, securities misrepresentation and consumer protection claims. James regularly contributes to national media including The Globe and Mail, Toronto Star, CBC Television and Radio, among others. He speaks regularly at Advocate’s Society and Ontario Bar Association events and at various law schools on the subject of class proceedings. 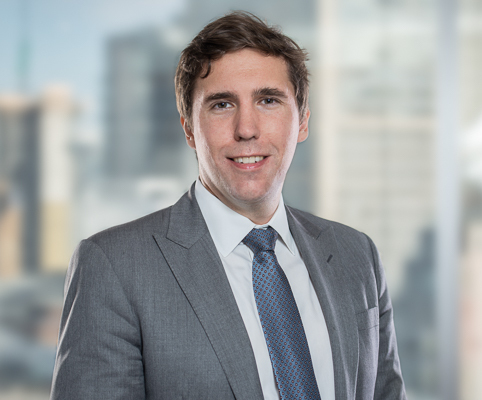 James practiced class action litigation on both the plaintiff and the defence-sides at an international law firm and a prominent litigation boutique before joining Koskie Minsky in 2014. We are recognized as a pre-eminent class action group, with extensive experience handling complex cases. We have been counsel in many of the country’s landmark class actions.